I wanted to share another project that I have been inspired to make from all of the wonderful #flannelfriday posts. 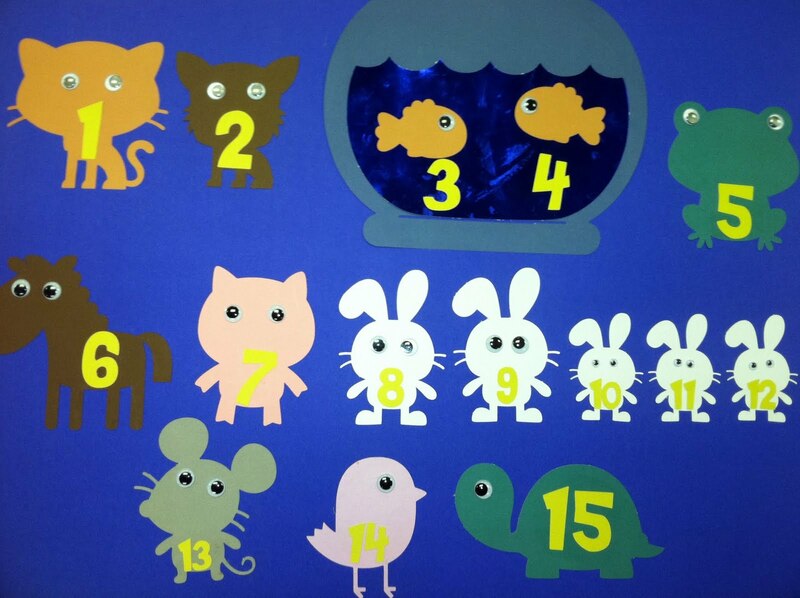 The idea was first shared by Abby the Librarian to do a felt story of Fifteen Animals by the wonderful Sandra Boynton. 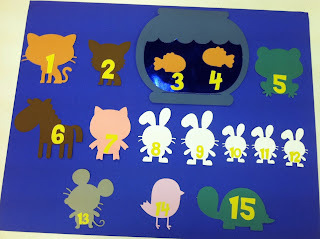 I thought it would be fun to recreate this story using paper and the library's Cricut machine. This project only took about an hour and a half. 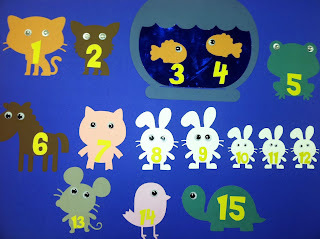 It would have taken me much longer to make with felt and it was fun to use the Cricut for storytelling. I'm thinking I might draw in some more detail on here before I have it laminated, but the jury is still out. What do you think? Animals are from Create a Critter cartridge. Most of the animals are cut at about 5 inches, some more or less (for purposes of scale). The fish bowl is 9.5" (fit to page). 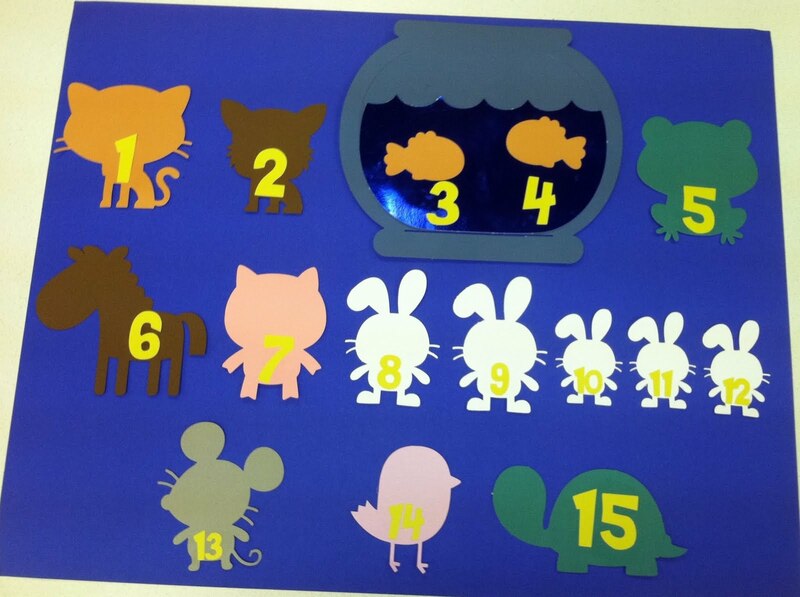 Numbers are from Sesame Street Font (Sunny Day) and are cut at either 2" or 1.25". I love it! We don't have a cricut, but maybe I'll find the time this summer to make one out of felt. And I think a little more detail might be appropriate (like pig's nose and kitty's smile) but not much. Definitely don't add too much more detail, but I agree with Mary -- a few noses and smiles would be perfect! I have a Slice, and I haven't yet yanked it out for flannelboarding, but I might have to after seeing this adorable one. That is SO CUTE! I love having the numbers on there!!! Love it! After see this and Mollie's Chicka Chicka flannel, I am filled with Cricut jealousy.